As signage and banners become more prominent, stable forms of advertising, the technology in the industry has adapted to keep up with the times. Newer concepts like soft signage have created a need for print shops to invest in different inks and fabric substrates. Digital printing technology has progressed to the point where it’s now easy to create detailed full color prints on fabric. 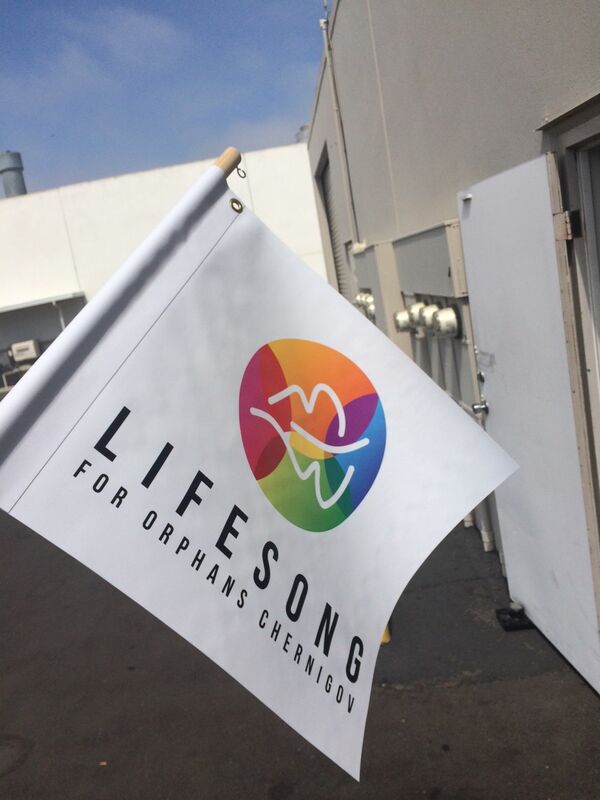 These “flags” or “banners” can then be affixed to an aluminum frame. This so called “soft signage” is ideal for entrepreneurs who want one single piece of signage that they can use for their point of sale, their trade show appearances, and at other events. The main idea here is versatility. Unlike more traditional rigid structures that are either permanently or semi-permanently installed at a location, a soft sign with or without a frame can be broken down and set up easily. This ease of transportation and installation makes soft signage a much better choice for the modern business person that is increasingly relying less and less on their brick-and-mortar storefront. Instead, successful entrepreneurs are coming to view their store as just another mode of publicity, and needs to keep it moving constantly in order to build brand awareness. Soft signage uses different forms of fabric substrates ranging from silicone based textiles, polyesters, to nylon and other soft, flowing fabrics. Different types of ink are used including: solvent inks, aqueous inks, ultraviolet-curing inks, latex inks, dye sublimation inks, and others. The different types of inks have different advantages and disadvantages. UV ink, for instance, can be printed on a myriad of diversely textured fabrics and it dries quickly without there being any hazardous vapors. On the downside, UV ink is quite expensive, relatively speaking. It also has a tendency to stiffen textiles if it isn’t handled properly and it’s not oa good choice for flags and other items that need to be double sided because of its density. Latex ink dries quickly as well. It is resistant to solvents, meaning it will not run if exposed to chemicals, like the cleaning liquid that is ubiquitous at trade shows. On the other hand, it scratches easily and cannot be used to render the brighter colors. Dye sublimation ink can produce extremely vivid and bright colors, but it fades easily in the light. Solvent based inks are extremely abrasion resistant and cheap, but the harmful vapors released when printing necessitates a proper, industrial grade ventilation system. New technology has come with several pros and cons and is definitely changing the way the printing industry operates.